Nancy Kress returns with Terran Tomorrow, the final book in the thrilling hard science fiction trilogy based on the Nebula Award–winning novella Yesterday's Kin. 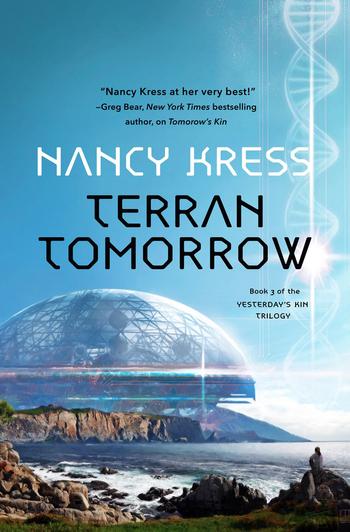 Nancy Kress, author of Tomorrow's Kin and If Tomorrow Comes, is the author of more than thirty books, including novels, collections of short stories, and nonfiction books on writing. Her work has won six Nebulas, two Hugos, a Sturgeon, and the John W. Campbell Memorial Award. Kress’s work has been translated into two dozen languages, including Klingon, none of which she can read. She lives in Seattle with her husband, writer Jack Skillingstead, and Cosette, the world’s most spoiled toy poodle.